A MUST SEE!! 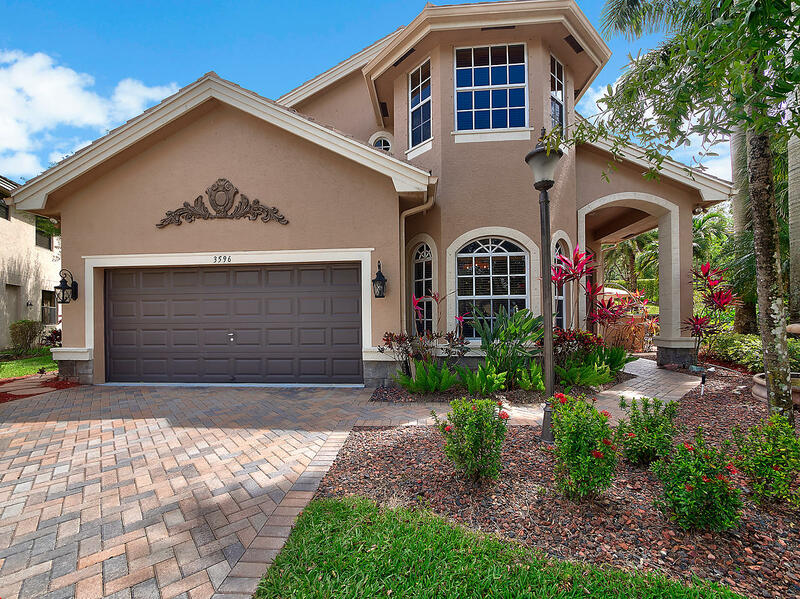 THIS SPACIOUS 6 BEDROOM, 3.5 BATH HOME IS LOCATED IN HIGHLY SOUGHT-AFTER VERSAILLES IN WELLINGTON. BOASTNG ALMOST 4000 SQ FEET OF LIVING AREA WITH THE MASTER BEDROOM ON THE FIRST FLOOR THIS HOME IS STUNNING BOTH INSIDE & OUT! THE KITCHEN INCLUDES 42 WOOD CABINETS TOPPED BY CROWN MOLDING, DECORATIVE LIGHTING, GRANITE COUNTERTOPS, NEWER STAINLESS-STEEL APPLIANCES (INCLUDING A 6 BURNER GAS COOKTOP) & TUMBLED MARBLE BACKSPLASH. MAKING THIS HOME EXTRA SPECIAL IS THE EXTENSIVE USE OF CROWN MOLDINGS & WOOD / TILE FLOORS THROUGHOUT THE MAIN FLOOR, A WOOD STAIRCASE, CUSTOM FINISHED HARDWARE & UPGRADED CARPET IN THE BEDROOMS. SOME OF THE MANY OTHER UPGRADES INCLUDE NEWER AC SYSTEMS, FRESHLY PAINTED, EXTRA GARAGE STORAGE & A LARGE LAUNDRY ROOM.